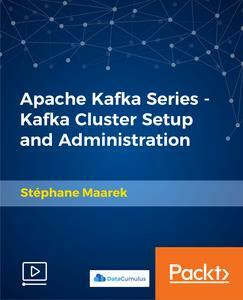 Apache Kafka Series - Kafka Cluster Setup and Administration | Free eBooks Download - EBOOKEE! Hands-On Training on ZooKeeper Quorum Setup, Kafka Cluster Setup, and Administration in AWS. This course is designed for system administrators, architects and developers. It includes a step-by-step guide for installing a ZooKeeper quorum and a Kafka cluster. Hands-on training on Kafka administration is also provided. This course has Amazon Web Services for our cloud environment, which is used by many companies around the world. AWS knowledge is a pre-requisite. This course reveals exactly how your Kafka cluster on multiple machines should be set up and configured. We will start with understanding the Kafka basics, cluster size and the configuration. We will also have hands-on learning on the AWS set up, single broker set up, multi broker set up, testing the cluster, Kafka manager (cluster management), demonstrating Kafka resiliency and so on. 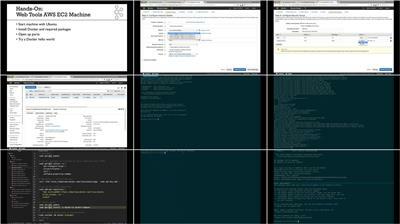 We will enlighten you on Kafka performance with respect to I/Os, network, RAM, CPU, OS (Operating System) and so on. Includes hands-on learning on how to run Kafka in production on AWS, how to change a Kafka broker configuration and we will also cover the advanced Kafka configurations. In this course, we will cover what ZooKeeper is, its architecture, its role in Apache Kafka, and the setup, installation, and configuration on multiple machines! No comments for "Apache Kafka Series - Kafka Cluster Setup and Administration".